A yummy hummus dip is something that no house should be without. It is delicious, full of healthy plant based proteins, fats and complex carbs, in short, the perfectly balanced food. Chickpeas and sesame seeds are chockfull of nutrients that will make your inside just as happy as your taste buds. Most food stores today have shelves full of different brands and flavors of hummus but once you make it at home, you will notice the difference, it just tastes better and it’s fresher and healthier than store bought. 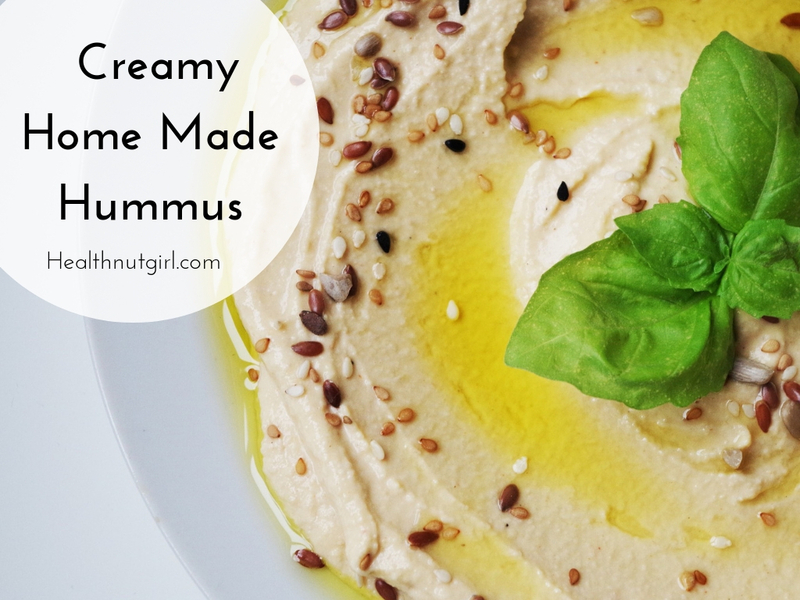 It is very easy to make, give it a try, you will fall in love with home-made hummus! Rinse one cup of dry chickpeas until clean. Put in a bowl and cover with plenty of filtered water. Soak overnight. Drain and rinse the soaked chickpeas and put them in a pot with plenty of filtered water. Add: a piece of Kombu seaweed and a few bay leaves. The Kombu enhances the flavor and make the beans more digestible, meaning, no gas! Bring to a boil, lower flame and cook until chickpeas are tender, 45 minutes to an hour, removing the foam from the top. *You can skip step one and two by using 2 canned chickpeas , I like to cook my chickpeas from scratch and sometimes will even sprout them before cooking them, it’s healthier! If you’re using canned, I recommend to use organic chickpeas, no salt added that were cooked with Kombu. Eden organic is a good brand. Strain the chickpeas, discarding the Kombu and bay leaves and reserve the cooking liquid. If you’re using canned, reserve the canned liquid. Put the chickpeas in a high-powered blender or food processor and add 1/3 cup of raw organic tahini, juice of one lemon, 1-2 cloves of garlic, peeled and salt and cumin to taste. Blend, adding the cooking liquid slowly to desired consistency. Make the hummus a little thinner that you like, it will thicken up in the fridge. Taste and add more salt or cumin if needed. You can totally skip this step, you now have a delicious hummus! But you can customize your hummus in lots of different ways. I recommend to serve your hummus with a drizzle of olive oil and a little sprinkle of paprika. You can also serve it sprinkles with pine nuts, slices olives or toasted sesame seeds. It is great in sandwiches and wraps or with crackers and sliced veggies. 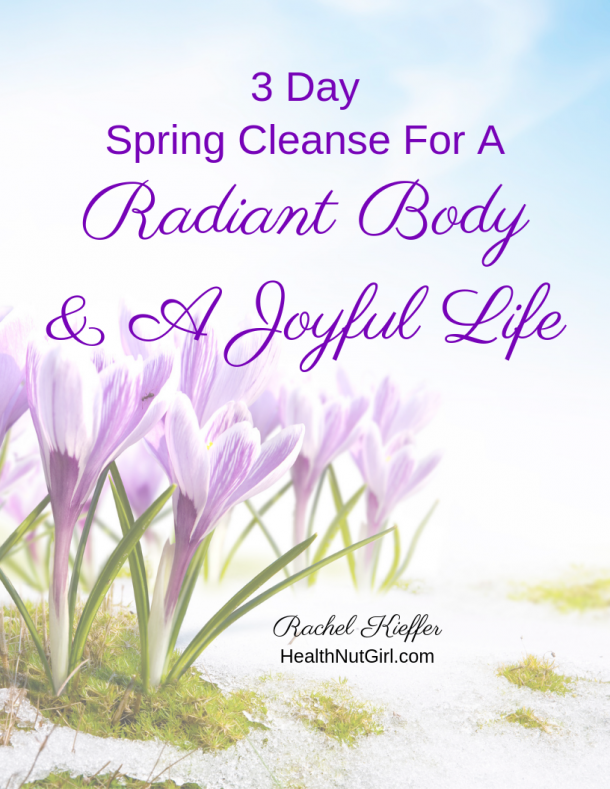 Experience more energy, better digestion and balanced health. Love this. Would never have thought to add seaweed to the chickpeas. I love adding hummus to salads especially during the summer months. Thanks so much. After being out of commission for so long, I am doing more cooking and appreciate this simple recipe. Having lived in many Arab and Gulf countries, Rachel, Hummus is a favorite dish in our home. Have to pin the recipe! I’ve been looking for a homemade hummus recipe for a while, and this looks perfect. I appreciate the suggestions for add-ins, too. I not only make my own hummus,, but I’ve gotten my 12 year old granddaughter making it, too. She likes to experiment with different flavors like dried roasted tomato and such. We call ourselves the hummus queens! Oh YUM! I’m pinning this recipe, Rachel. I tried making my own hummus once and it was a tasteless disaster. I would have never thought to add seaweed. Thanks! This sounds fantastic and easy to make! Thank you Rachel! Hummus is my favorite and I can make the biggest batch, but it will be polished off in my house in 24 hours! 🙂 WIll try your new suggestions.